With a friendly, professional, and caring approach, Sofia’s exceptional client focus helps people realize their dreams. Her customer-first philosophy, along with her commitment to excellence and integrity, has made her clients come back to her again, as well as recommend to family and friends. No one will work harder, care more, and put your best interests above all else. Sofia is a native Cape Codder and her clients will benefit from her vast knowledge of the area as well as her extensive network of contacts. After earning a degree in finance, Sofia was intent on building a career in the place she loved best, Cape Cod. Prior to joining Coastal Point Properties, Sofia has worked as a realtor for more than a decade and brings a wealth of experience and passion to her work. Sofia’s marketing experience is a strong asset in getting your home sold for the best price. Skilled in social media as well as traditional formats, Sofia will generate interest in your property and get it sold quickly. She also brings a wealth of knowledge about current market trends, home staging, and the local market. Her knowledge and experience makes her the number one choice for selling your property. Sofia is happily married, and along with her husband Sam, is raising two beautiful children. 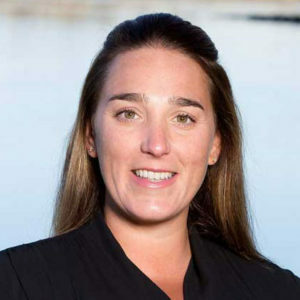 Outside of real estate, Sofia enjoys boating, spending time with family and friends, and enjoying the unique environment and culture that makes Cape Cod such a wonderful place to live. Whether you are looking to purchase your first starter home, a luxurious second home, or somewhere in between, you can rest assured that Sofia has the knowledge and skills to see your dream come to fruition.